You can create an account to edit this wiki if you have an email address with '@rug.nl'. 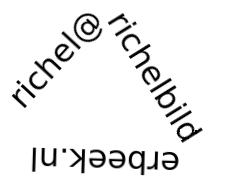 Feel encouraged to edit things here, or send Richel an email. We have an intentionally low-traffic email list here. It open to anyone (not just people from the university of Groningen). The will be coffee at the start of the meeting. There will be a coffee break between the talks. [*] Full address: SmitsBorg, Center for information technology, Nettelbosje 1, Zernike, Groningen. Room 5431.0053 is the Donald Smitszaal. When entering the building, go left. At the R-User-Group-Groningen GitHub you can find the presentations. We would have added it here, would this Wiki allows us. This page was last modified on 13 March 2017, at 13:32. This page has been accessed 1,918,250 times.